In this month's issue, author Ron McEwan presents a simple, intuitive yet seemingly effective new indicator whose purpose is to act as a filter in a trading strategy, facilitating it to adapt to changing market conditions. A change from a trending mode to a mean reverting one is measured through a ratio dividing the number of bars when the Historical Volatility (HV) of the daily close price change in a given lookback period was lower or equal to today's daily ROC's HV. To take advantage of Volatility Switch in Wealth-Lab's charts, code- and interactive rule-based strategies, all it takes is to install (or update if you haven't done that already) the TASCIndicators library from the www.wealth-lab.com site to its latest version. To illustrate the application of the new regime filter, we created a demo system that takes entries and exits depending on the market's volatility switch state: above 0.5 it's considered choppy with a potential for mean reversion, and at or below 0.5 it's more likely to trend. Figure 1. 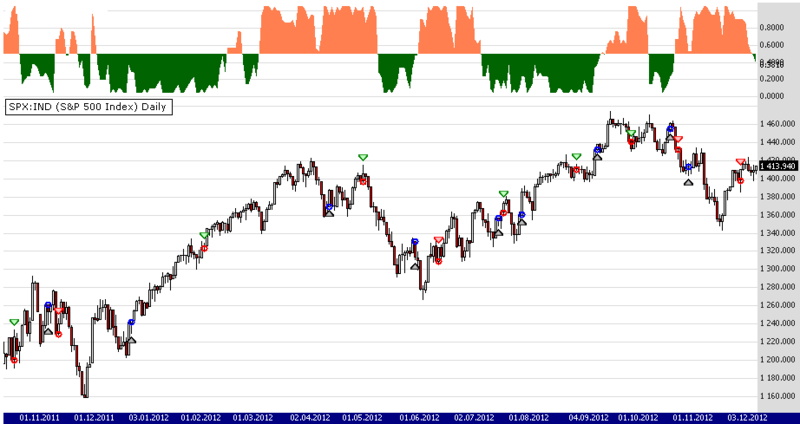 Daily chart of SPY illustrating the application of a trend/mean reversion trading system powered by McEwan's Volatility Switch filter. Figure 2. 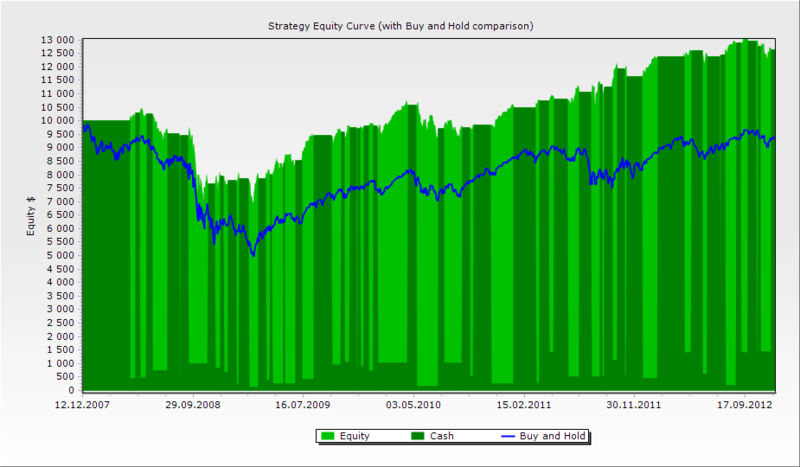 Chart of strategy's equity curve vs. Buy&Hold.